Yarra Bay House is located on Yarra bay, in the suburb of Phillip Bay. It was built in 1903 to house the workers of the Cable Station at La Perouse. 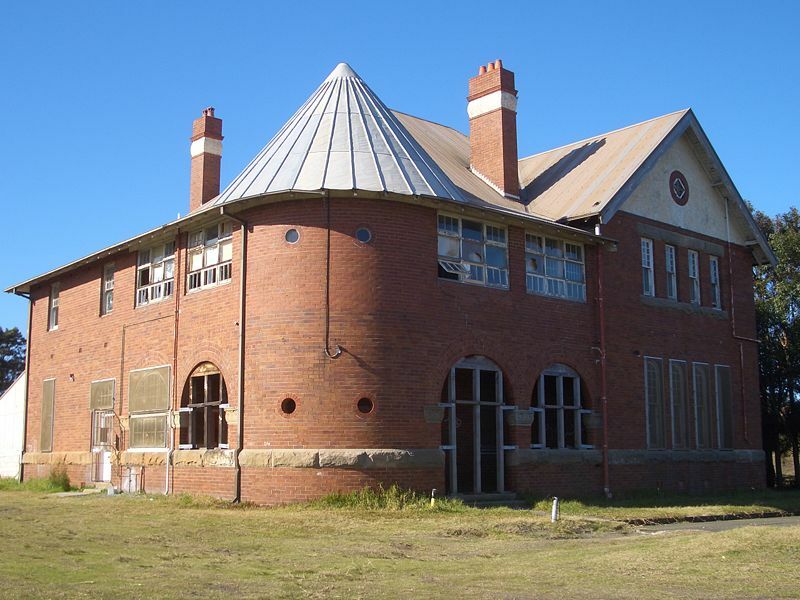 After the Cable Station became obsolete in 1917, it became home to various government departments including the Director of Public Instruction (later the Education Department) and the Department of Youth and Community Services. The title was given to the local Aboriginal Land Council in 1985. 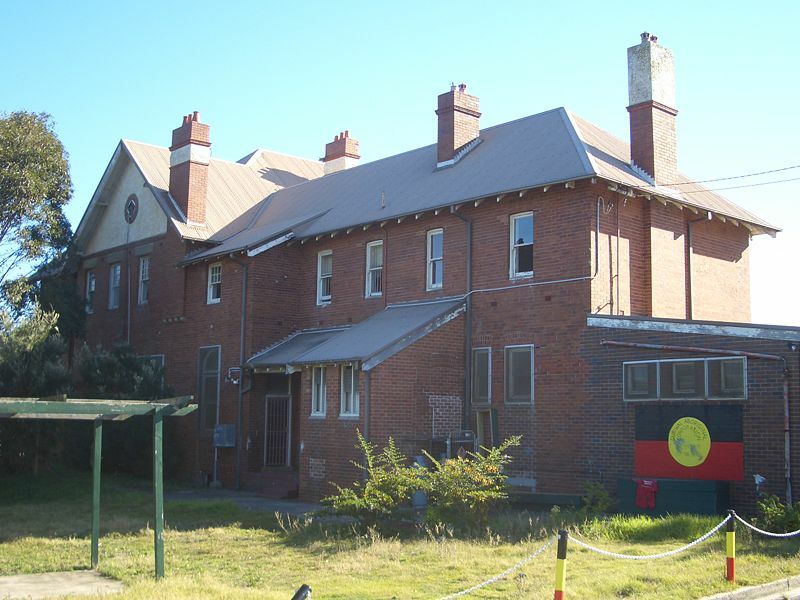 This building with an Aboriginal flag painted on one of the walls, needs some restoration. Beautiful! I like this 'tower' in this building! Nice shots! It's a very solid-looking building that looks like it can take a lot of abuse. But yes, I hope that it gets taken care of soon. It looks to be in pretty good shape - from the outside, but after so many years, it no doubt could use a bit more than a facelift! I was a resident at Yarra Bay, when it was run by Child Welfare in 1967-1978 and attended school on site. I was a resident there during 1968-69 and attended school on site when it was managed by Child Welfare Department. I was a resident 1974 - 1975, great heritage there learnt more about aboriginal culture there with the kids and the surrounds than in school . It's great to hear this feedback about these places.